ASA's One-day Continuing Education Workshops include classroom-style training with ample opportunity for Q&A and discussion. To view an agenda, please click on the topic title in the below table. 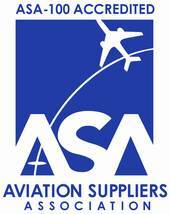 ASA Members receive a special discounted rate! This workshop is appropriate for employees involved in quality, receiving/shipping, warehouse operations, sales and/or anyone else needing a refresher in any of these areas. This one-day workshop includes classroom-style training with ample opportunity for questions & answers and discussion. A Certificate of Training will be provided to all participants. Coffee, breaks and Lunch are included in the fee. Fillable Registration Form - Coming Soon! Non-Member: $350.00 USD Coming Soon!